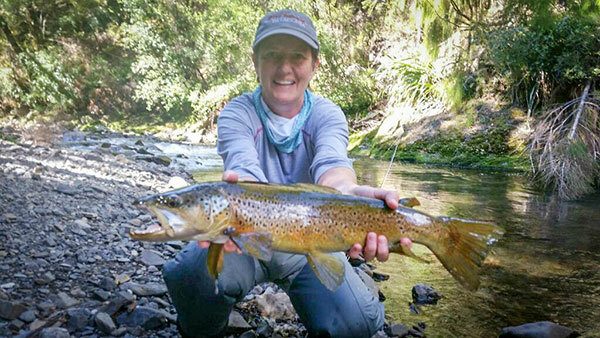 Susan and Thomas stayed at Braxmere Lodge at the southern end of Lake Taupo while fly fishing the river for first Trout fishing Turangi. 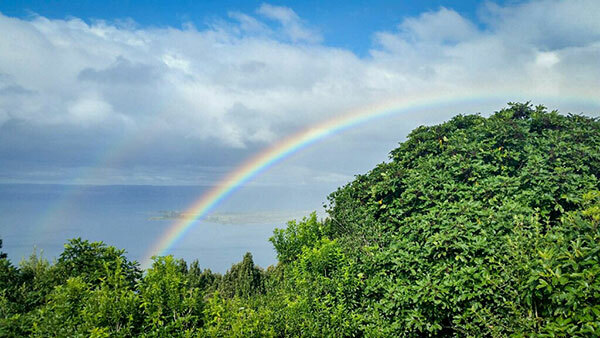 Lake Taupo above Pukawa village Turangi New Zealands Trout fishing capital Tongariro river delta just below rainbow is where the famous Tongariro river enters. 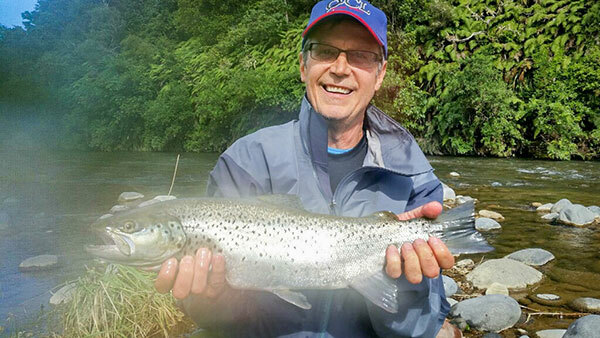 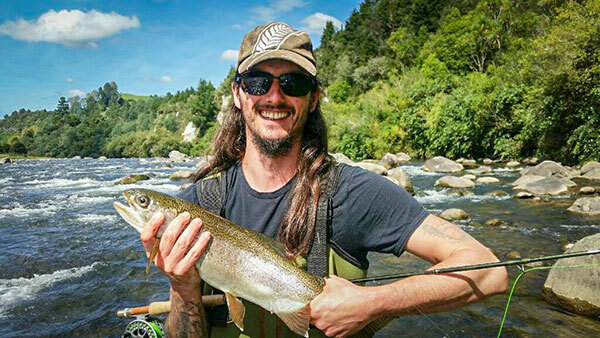 John stayed at Creel lodge while fly fishing the Tongariro river and caught a lovely Brown Trout for the Bar. 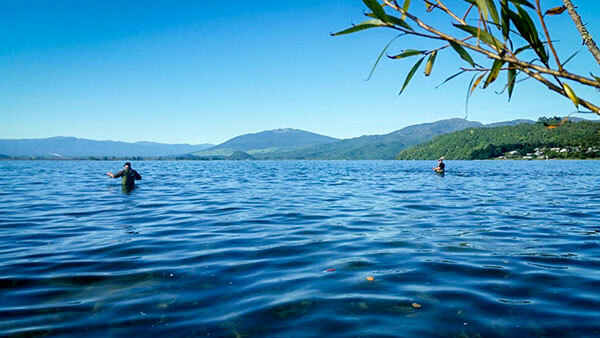 Lake Taupo on a cool autumn's morning. 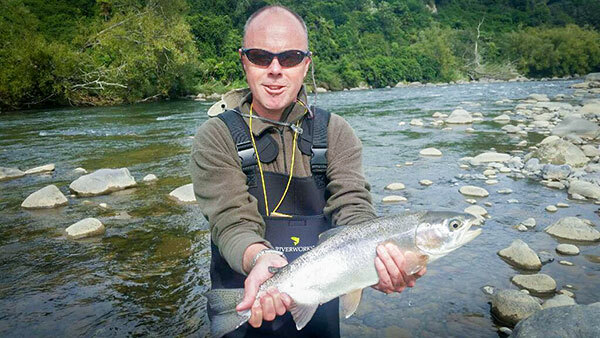 Fly fishing with streamer flies caught suppurb condition rainbow trout on this glassy morning. 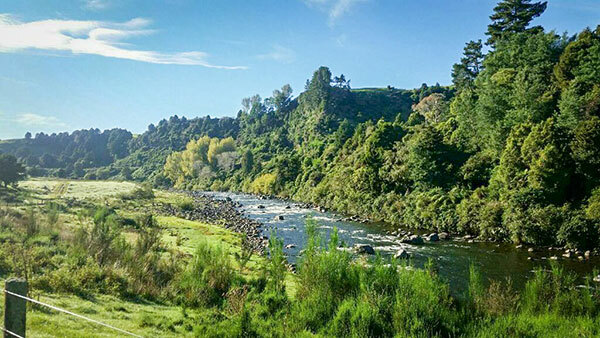 Kaimanawa range with Sika Deer in the back ground Fishing Turangi close to the Tongariro river. 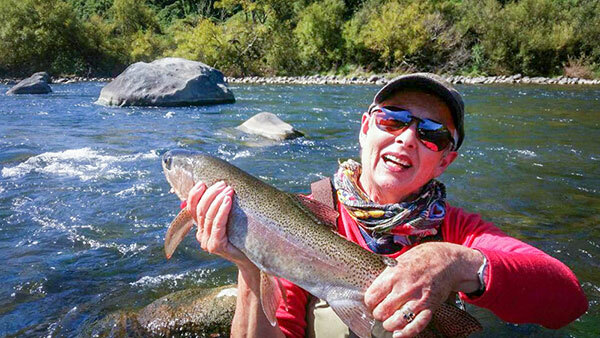 Debbie and Carol fly fishing New Zealand for the first time central North Island. 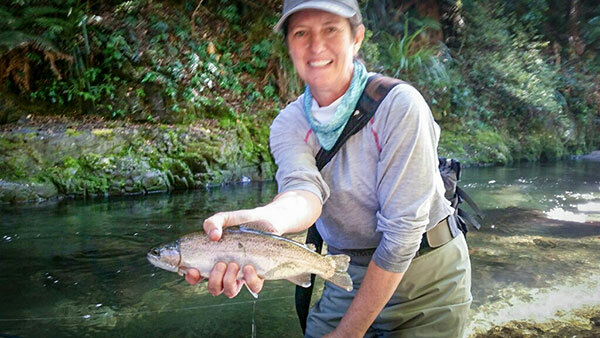 Debbie fished dry fly and caught her first ever Brown and Rainbow Trout. 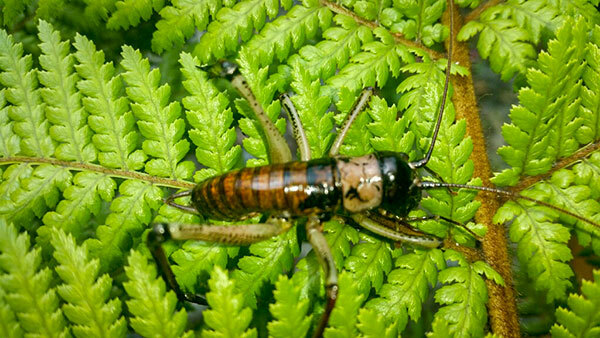 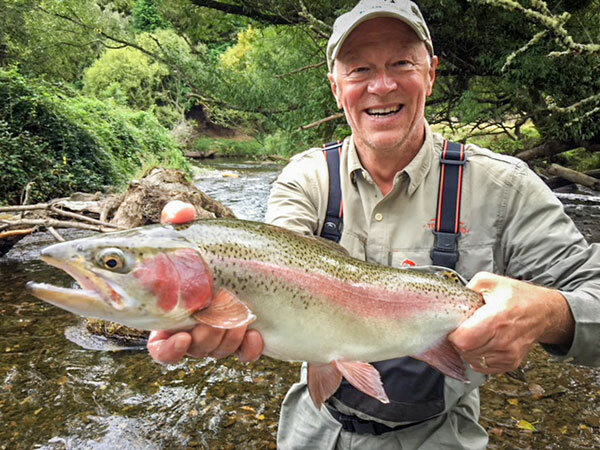 Don Schick based himself at the fantatsic Tongariro lodge in Turangi while fly fishing New Zealand's back country rivers.